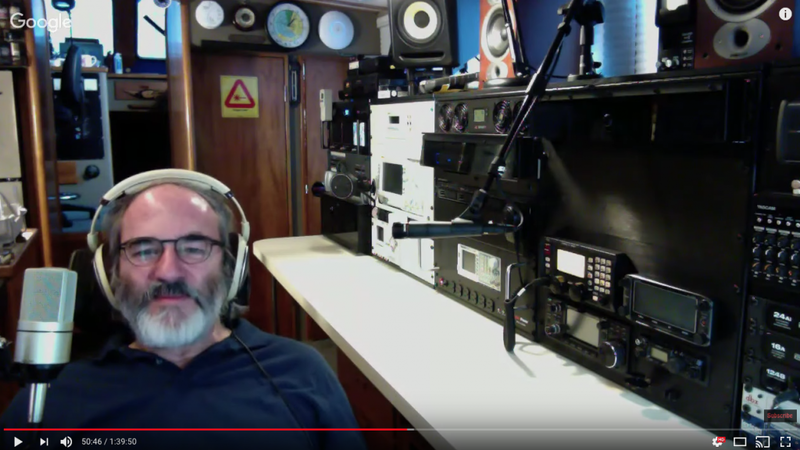 In January of 2017, living aboard Datawake in Friday Harbor, I did a live video interview with Gary Solomon of the Laidback Bike Report. This proved to be an interesting and lively event, and is embedded below. Gary has done a huge collection of interviews related to the dynamic recumbent bicycle scene… something that quite delights me, given how esoteric and “weird” they were back when I was pedaling around the United States in the eighties. Some beautiful bike (and trike) technology is now available off the shelf, including electric systems, and the collection at the Laidback link (or his YouTube channel) is a great place to learn about what is happening.